Area: San Francisco to Half Moon Bay - Northern. California, USA. What did this come from to have all these bumps? I only found about 8 small pieces. 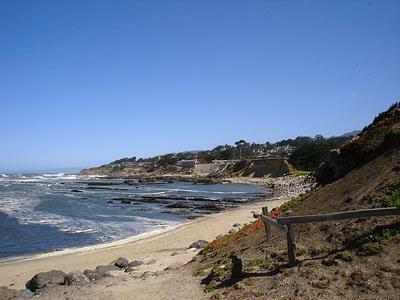 Just south of Half Moon Bay, Pillar Point is the state beach. The beach has free access. You only need to walk a distance toward the big fancy hotel on the bluff (Ritz-Carleton). 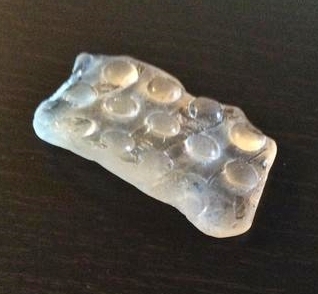 I have found small to medium well-worn pieces of glass at high tide and low tide. From what I understand the cliffs were used as a dump so the glass may might be making its way to the ocean and back. There was a little grouping of rocks not far from the hotel with good supply (was best at low tide, of course). I even found a $10 dollar bill and had a nice lunch in Pescadero later that day. However, finding the rare glass is at best rare, otherwise it wouldn't be rare! 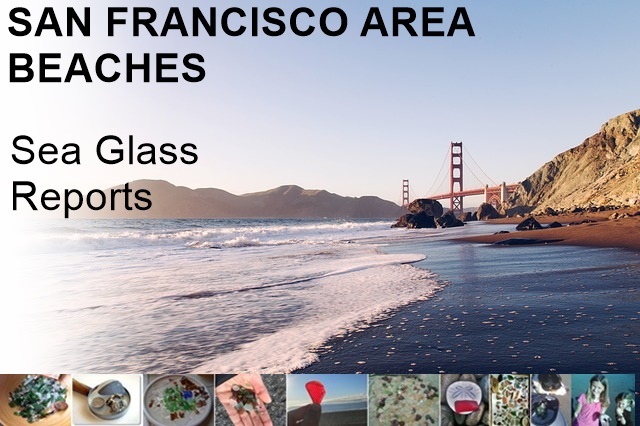 My brother and I visited most of the beaches from Baker Beach in Frisco to Moss and Pillar Point to the south and found only a few pieces of very poor craft grade glass.